Published Feb. 21, 2018 at 10:02 a.m.
Seventeen-year-old MPS student Reiley Hofschulte, a junior at Rufus King International High School, has organized and hosts a 414-minute music event Saturday, Feb. 24, from 1 to 8 p.m, at 88Nine Radio Milwaukee, 220 E. Pittsburgh Ave., in Walker's Point. Admission is by donation and all proceeds from the all-ages show benefit the Leukemia and Lymphoma Society. Doors open at 12:45 p.m.
Hofschulte (pictured at right) is a drummer and performs with local band Mad Red Kat and with the Rufus King drumline. 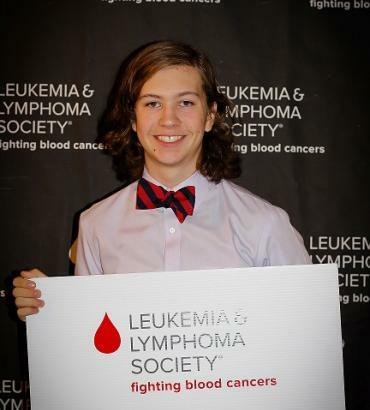 Hofschulte is also one of 14 candidates for Lymphoma Society Student of the Year. Milwaukee-based bands and DJs will perform beginning at 1 p.m., and the lineup includes Samba Da'Vida Milwaukee, Under the Table Goods, Floor Model, Chris Porterfield of Field Report, Rust Belt Rejects and DJs Enzo DeMay, Ryot, Alien Dance, SJ and DripSweat. No No Yeah Okay headlines the gig at 7 p.m. There's a special 70-minute kids "dance off winter" DJ set at 1:40 p.m., with kid-friendly music in honor of the 2018 LLS Honored Hero, 10-year-old leukemia survivor Ashely Roade. There will also be face-painting, prizes, a bake sale, food trucks (including Matty's Food Truck) on-site, Stone Creek Coffee Roasters for sale and more. Learn more about Reiley's Student of the Year Campaign here. Learn more about 414 for LLS here.